In 2018 the AALA Board of Directors Endorsed a 5-year strategic plan that included 7 strategic Advocacy Priorities. Landscape Architecture is properly recognized and included by all levels of Government and Allied Professions. AALA will create a number of working groups to address key areas of concern. 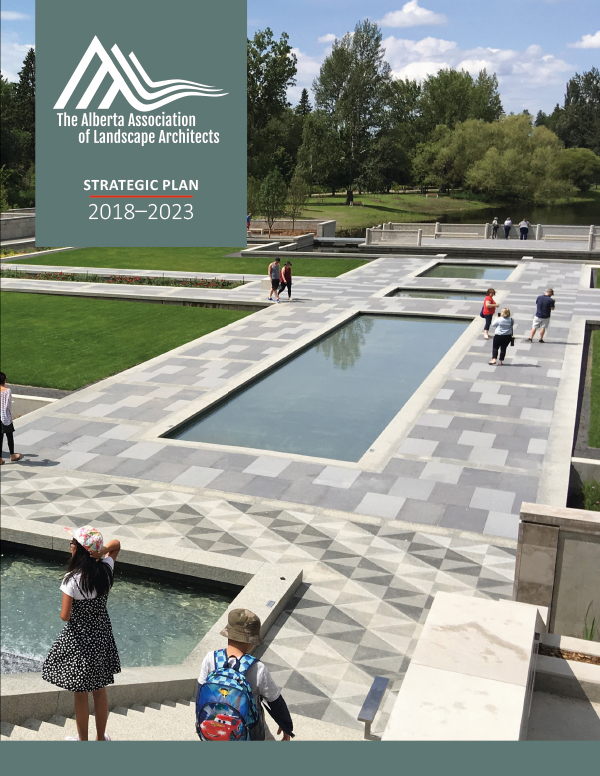 Municipal Standards related to Landscape Architecture. Support for or development of a Practice Act. Creation of a Schedule B and/or Schedule C similar to BC Legislation. Increased access to post-secondary courses for continuing education. Promotion of Quality Based Selection (QBS) as industry standard. Work to address encroachment of Architects and Engineers into Landscape Architecture. Ensure Landscape Architects’ work is reviewed by those with appropriate competency.